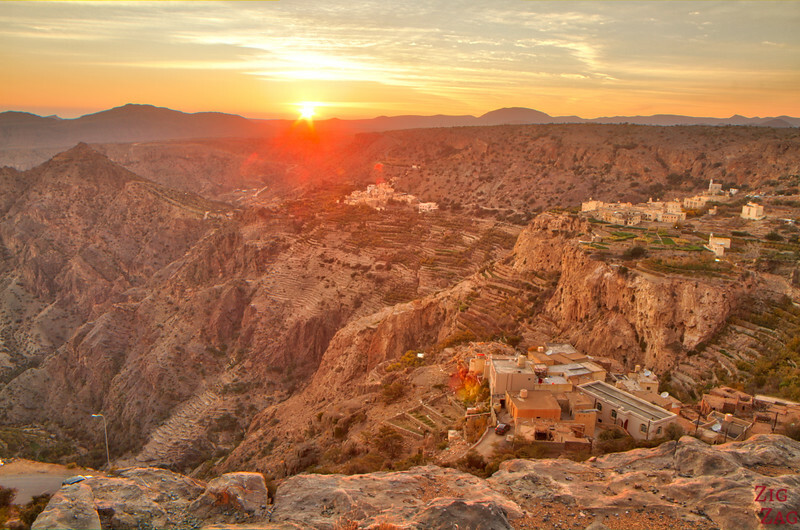 Jebel Akhdar Oman (also known as Al Jabal Al Akhdar i.e. 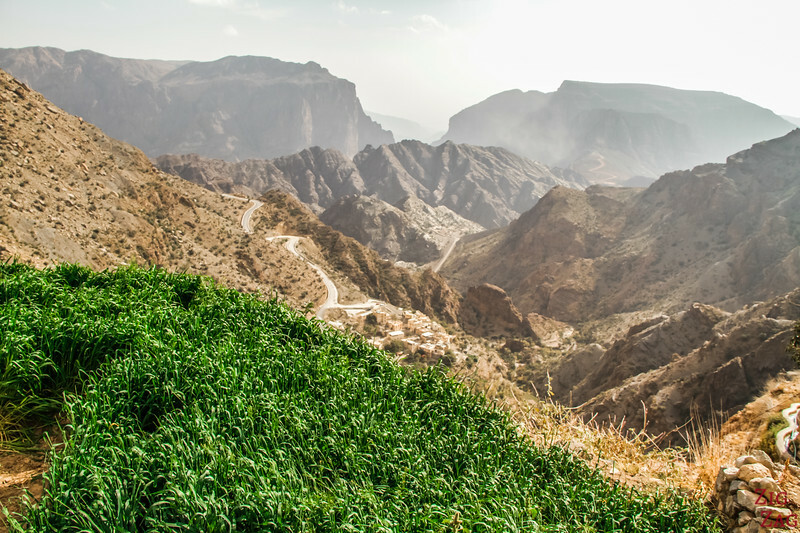 Jabal Akdhar) is a green area on the Sayq plateau which is considered by many, especially the locals, as one of the top things to do in the Sultanate. 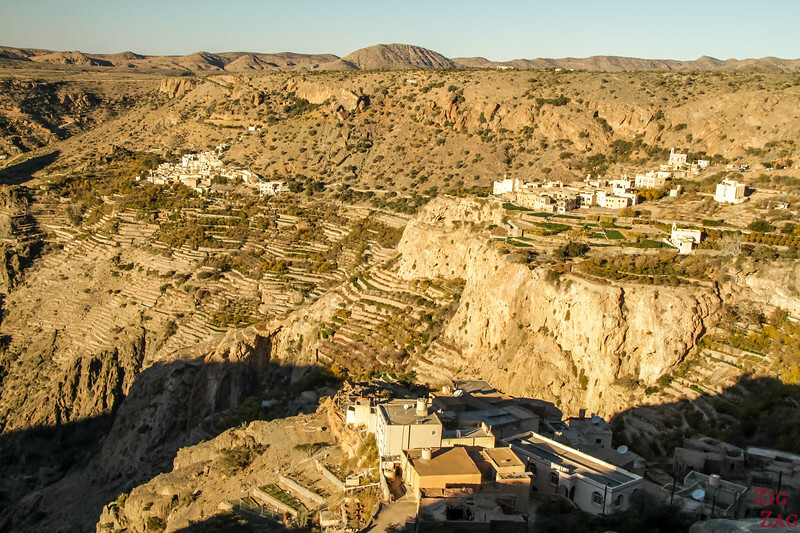 Now access via a steep modern road, the plateau offers wadis, terraces and stunning mountains views. 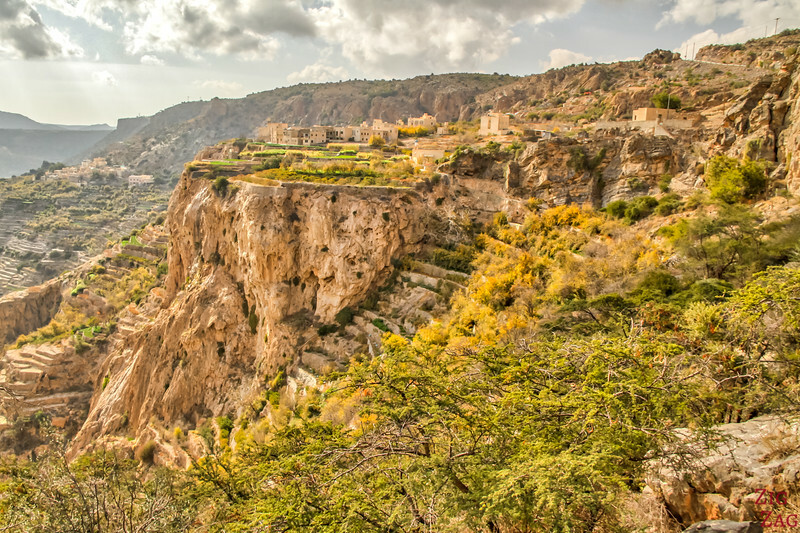 Situated at the top of the Hajar Mountain range, Jebel Akhdar (the Green Mountain or Green Mountains in Oman) is the area around the Sayq Plateau. 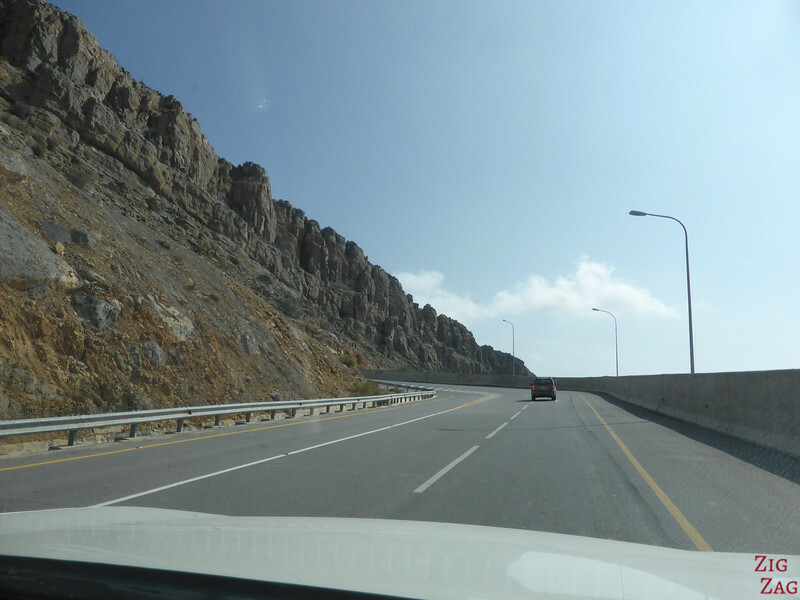 The journey used to take 6 hours but now a road has been built all the way to the main village making it easy to climb to Jebel Akhdar. This is why it has become a top touristic destination for foreigners and local. 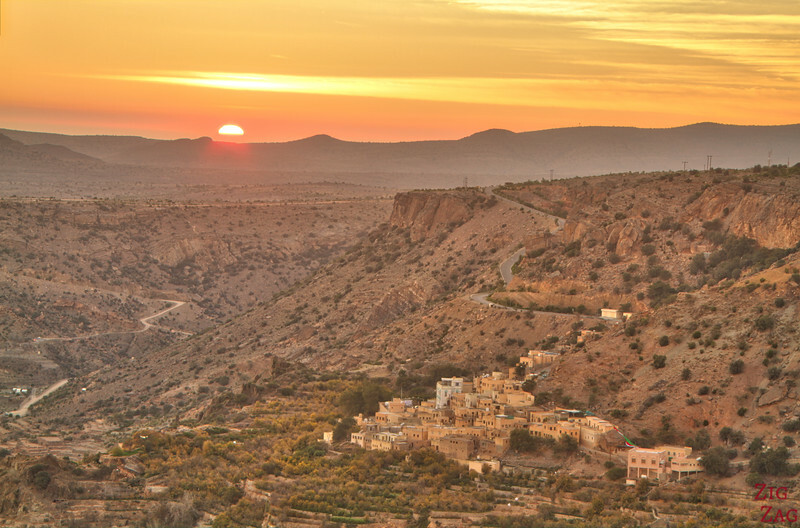 It offers cooler weather, old villages, canyons and terrace plantations. 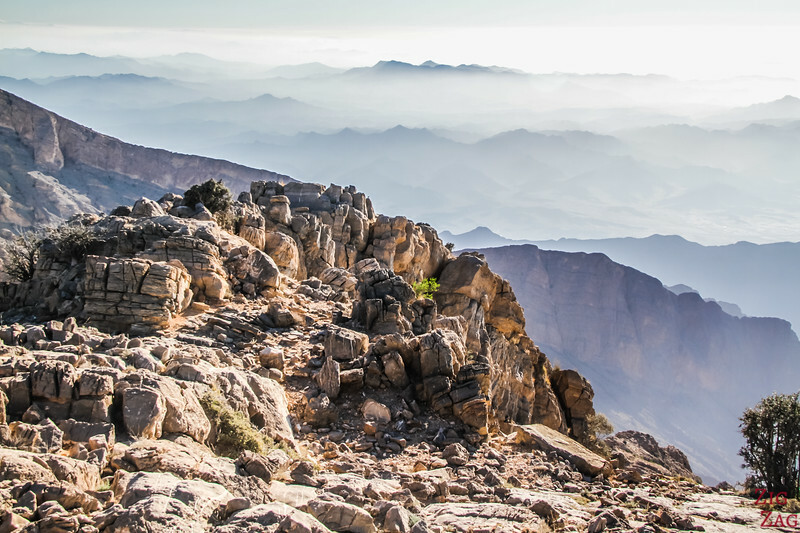 But do not mix up with Jebel Shams Oman which is the Arabian Grand canyon and bare mountains! 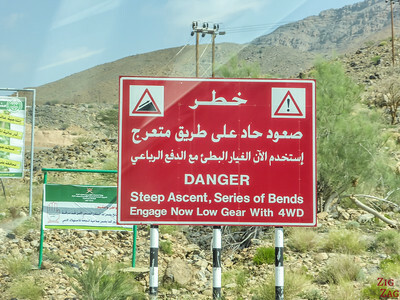 The Road to Jebel Akhdar is only accessible to well maintained 4WD with a maximum of 6 people - at the checkpoint have you driver license, car insurance and ID ready. Make sure your breaks are in good condition. I recommend staying one night to enjoy sunset and sunrise views. 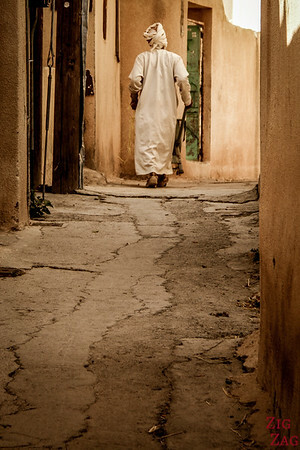 More accommodation ideas around Oman in my Oman Hotels and Accommodation article. 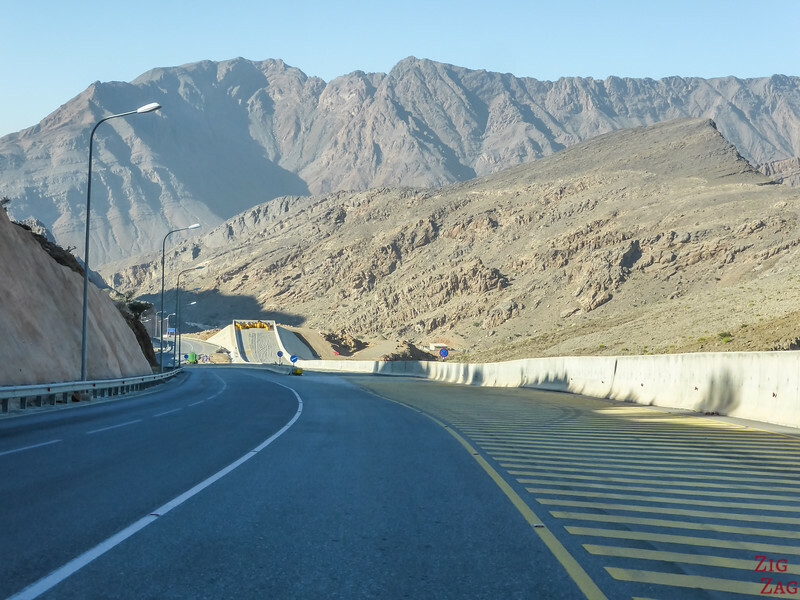 I recommend for you you stop at the checkpoint's visit center to get the map of the mountains with all the places to visit in Jebel Akhdar Oman. 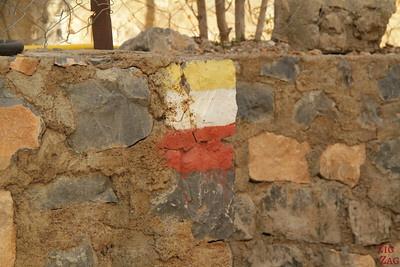 They also include GPS coordinates of the main places. However there are not many road, so don't worry you won't get lost. With half a day I covered the lower half of this map. Considering some road I took in the French Alps with normal cars, I did not think that the climb to the plateau was that steep. But access is limited to 4WD. The road is in very good condition and well maintained as you can see below. After heavy rain, rocks might fall on the road, and you might have to slow down because of roadworks. On the way to the plateau you might notice this parking space. Elevation is 2090 meters. 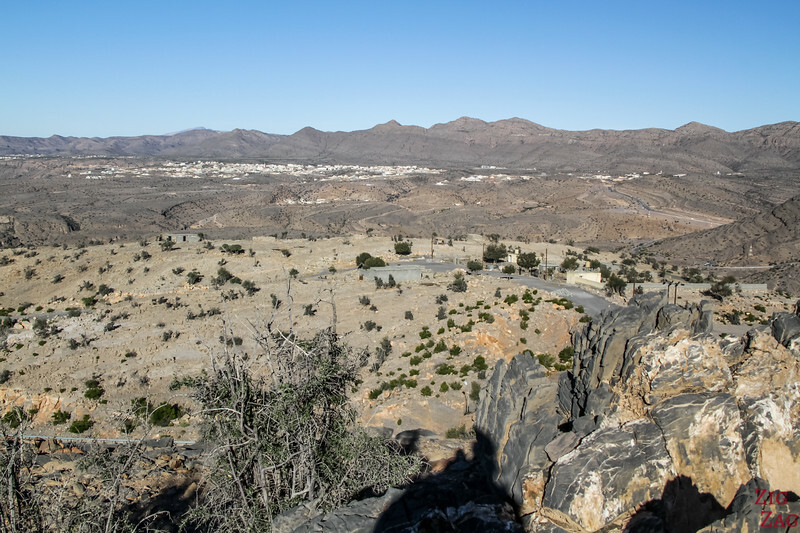 From there you can see the Sayq plateau where we are heading next and its main village. From the car going up, I had noticed the view behind, so on the way down the next day I stopped and climb the hill next to the parking. Be careful it is slippery! And I ended up with this beautiful view! 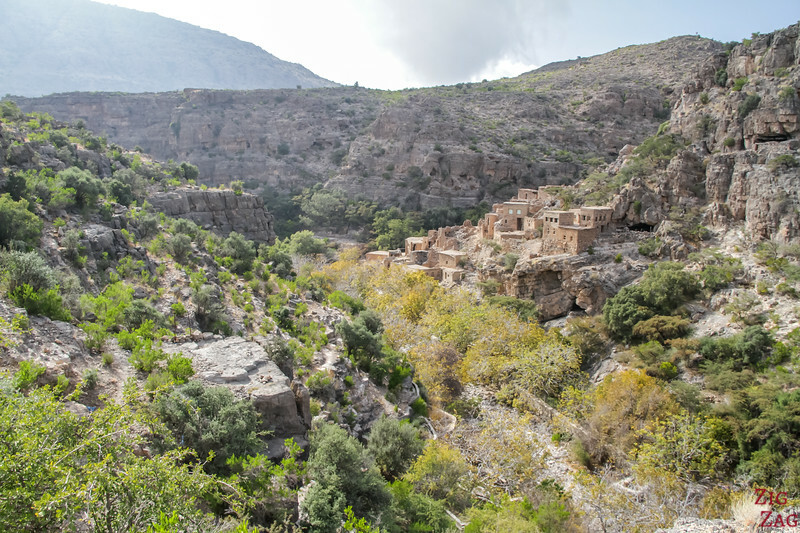 Wadi Bani Habib is one of the top places to see in Jebel Akhdar Oman. 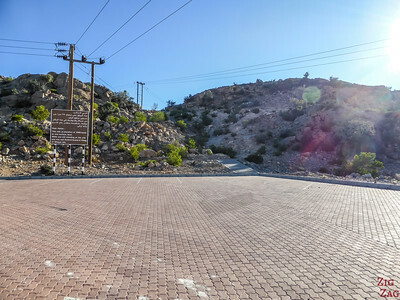 When you reach the end of the road and the parking (GPS coordinates in the eBook), you can take stairs to admire the view of the canyon and the old village. The path can actually take you to the old village of As Sab but I had seen many abandoned ruins in the days before and decided not to go for the hike. 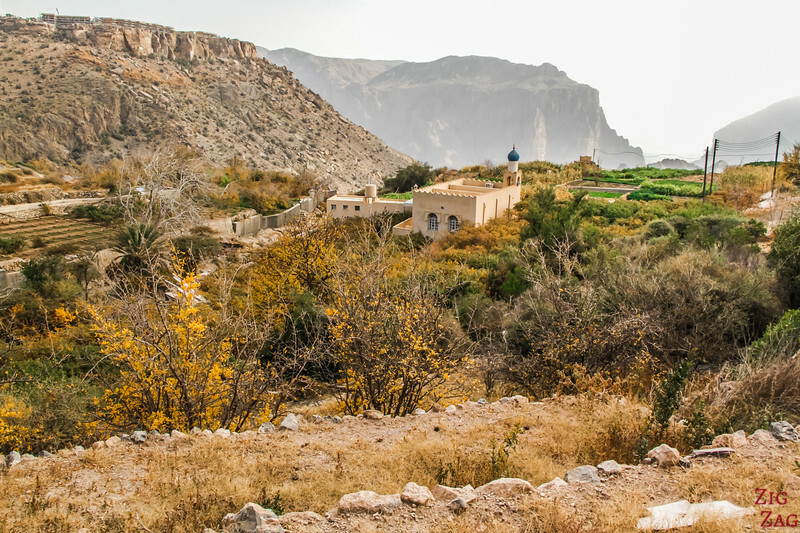 I completed a short hike that took me from the local Al Ayn village (not the other Al Ayn with the Unesco site) to the Al Aqur rose village. 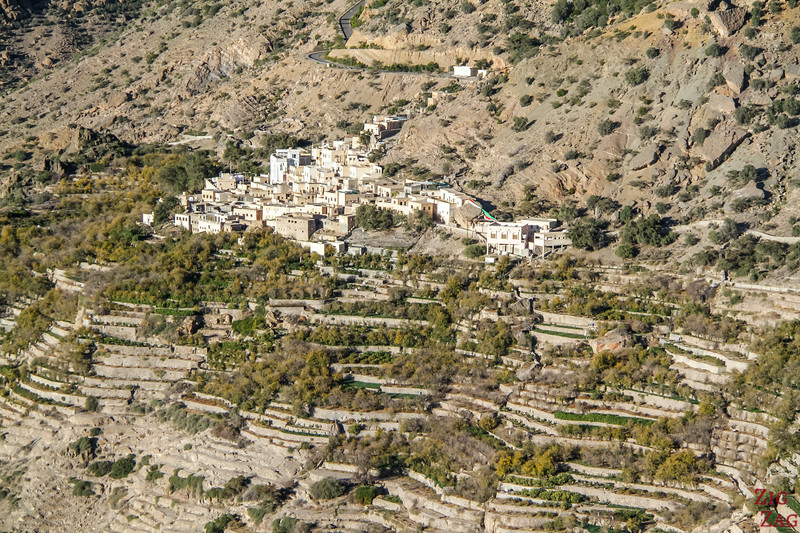 Here is the view from just above the Al Ayn village. You can see Al Aqur just across, the hotel where I stayed on the left (Sahab Hotel) and the big hotel complex they are building on the other side. 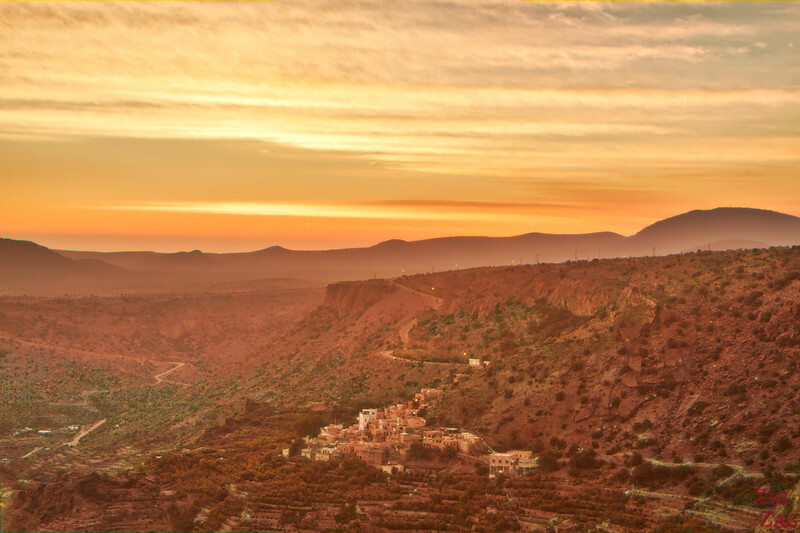 The village of Al Ayn has a beautiful view of the mountains. 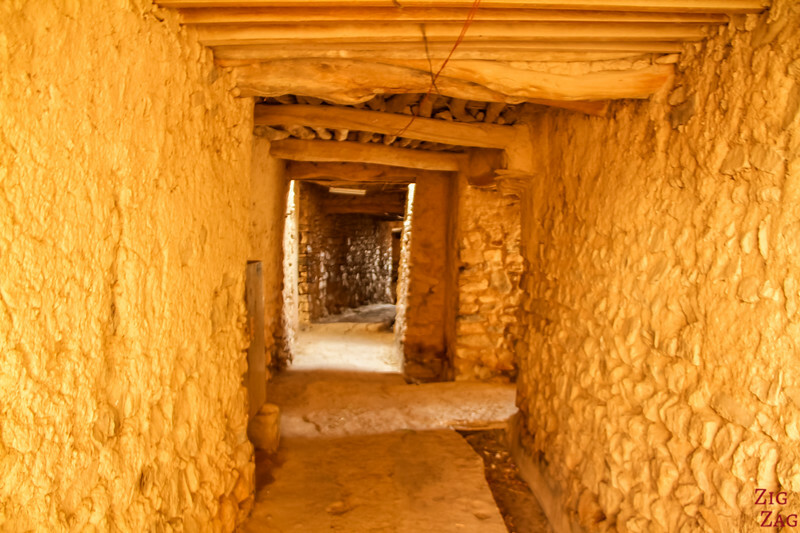 You can walk in the old street and tunnels until you reach the plantations. As you cross you get great views of the terraces. One viewing point was made famous by the famous of late Lady Diana. I quickly stop at the viewing platform but I thought the views was better from the terrace of my hotel. And I was tired and just wanted to relax, as you can see with the very poor photo I took! My Jebel Akhdar hotel was the Sahab Hotel. 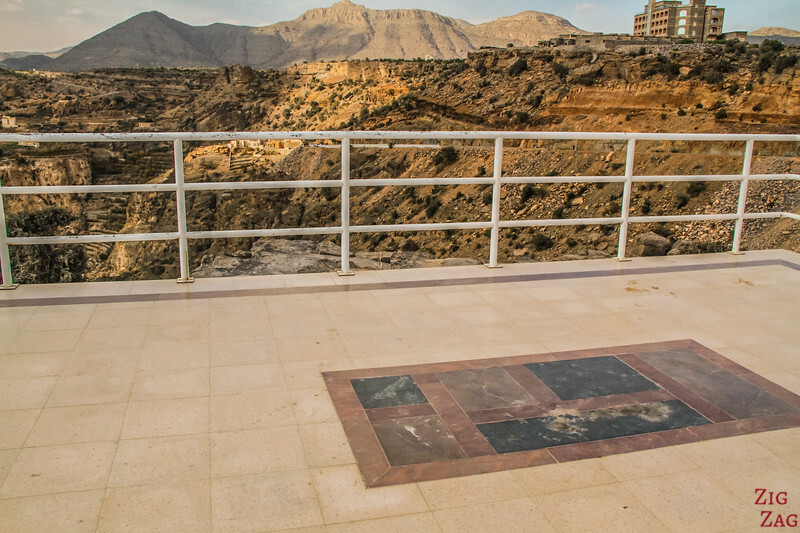 It has a great location for views, especially at sunset and sunrise. After enjoying the views from the jacuzzi, I put on layers (remember it is cold in the mountains) and set up for sunset. In the morning, not magical colors but the light was great to really see all the terraces for the plantations. 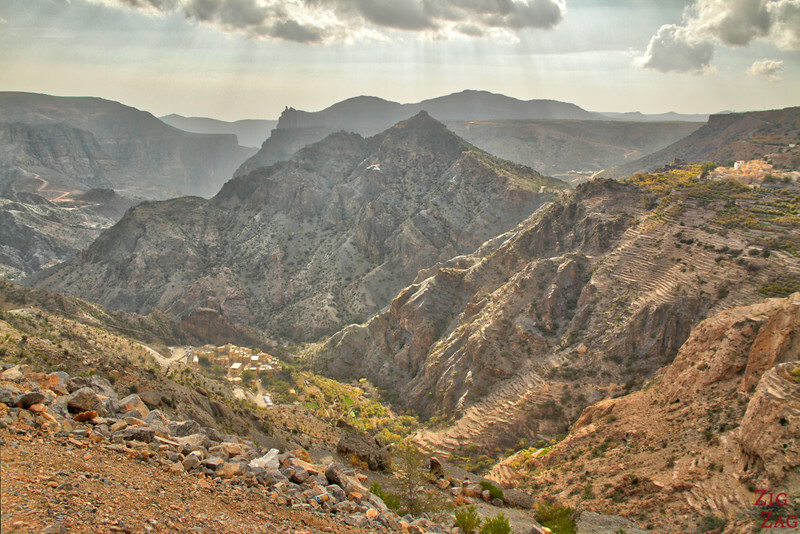 Jebel Akhdar, along with many other beautiful places, is included in my eBook: Experience Oman. Do you like going up in the mountains? Your Oman pages are fantastic. 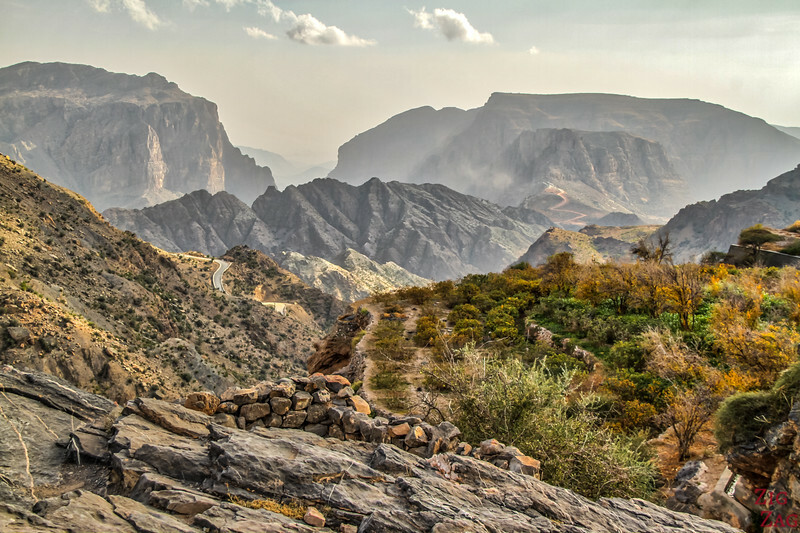 We’re planning a trip to Oman for 11 days for later this month and your pages have been incredibly helpful. Thanks! I am glad you are finding them useful.